“An explosive force” is what Lewis required the artist to be. In his 1937 autobiography Blasting and Bombardiering he recalled the shock-waves stirred by the impact of BLAST upon an unsuspecting culture: But a bomb explodes only once, while a volcano keeps on erupting over and over. In his late years, someone termed Lewis “a lonely old volcano,” in reference to the staying power of his necessarily isolating artistic gift in his books and paintings, for violently ejecting various sorts of heated matter. The poet Yeats attributed Lewis’s explosiveness to the effects of “a soul caught in an antithesis, an alternation he cannot control.” The antithetical collisions of mechanized war and ordered civilization, for example, or of writing and painting, produce the driving energy of Lewis’s work. 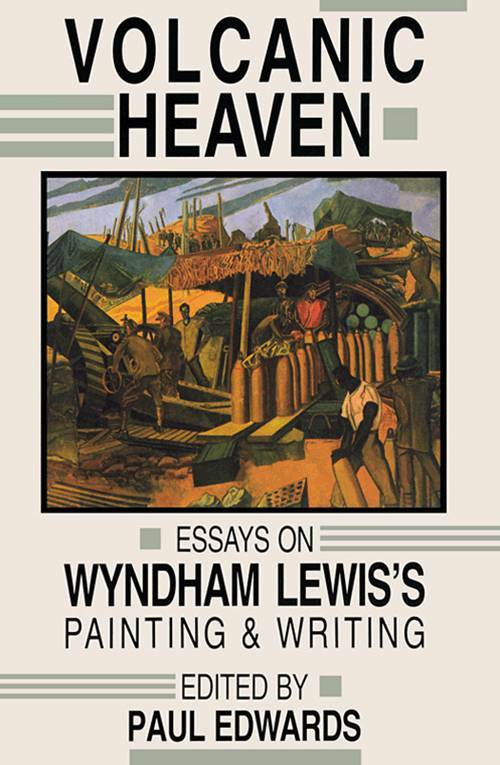 These and other creative antitheses are here analyzed and explained in a generously illustrated volume featuring ten original essays that place Lewis as writer, painter and thinker in up-to-the-moment critical perspective.